Lake Tahoe is showing some severe impacts from the changing climate. Indicators released Thursday in the annual “State of the Lake” report packed a few surprises, even for scientists. 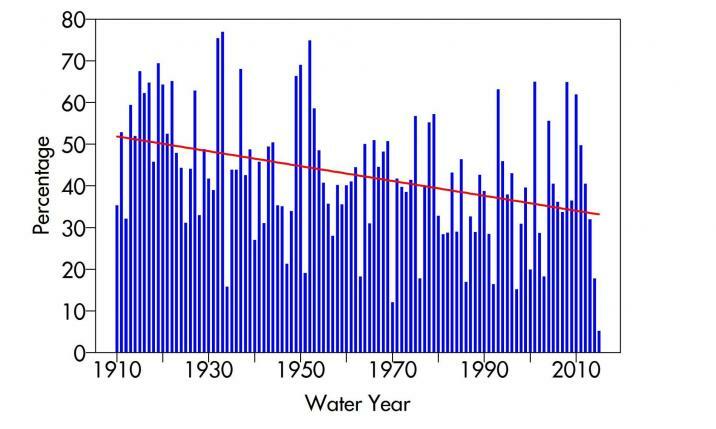 For one thing, the lake has been warming faster than ever recorded. In 2015 the lake's average temperature rose 0.48 degrees Fahrenheit -- and over the last four years, the rise was 15 times faster than the lake's historic warming rate. "That came as a surprise to me," says Geoffrey Schladow, a UC Davis freshwater scientist and lead author of the report. 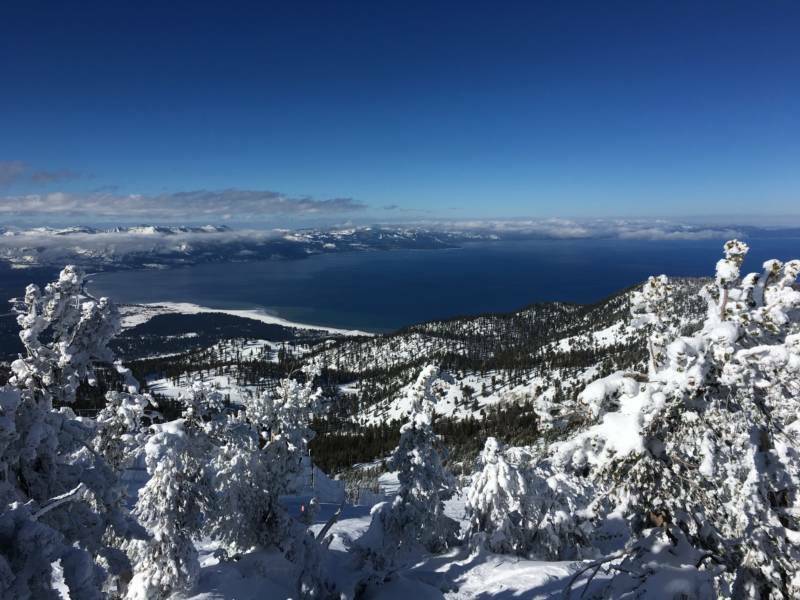 Given the enormous volume of Lake Tahoe, Schladow is struck by how quickly it warmed. Schladow says if you took the full volume of water in Tahoe and spread it out over California, it would cover the state in 15 inches of water. "That's a lot of water," he notes. "We're not saying that it's going to keep increasing at that rate, but the fact that it can change so quickly is disturbing." Even more disturbing to scientists is how all this warming has affected the lake's ability to mix its own waters, a natural process that is thermally driven. The warm winters have stunted that process, meaning that oxygen-rich surface water is not making it to the lake bottom, depriving fish and other life forms of oxygen. Scientists routinely measure how deep the mixing occurs -- the deeper, the healthier for the lake -- and last year's level was 262 feet, the most shallow ever recorded. Tahoe's maximum depth is more than 1600 feet. "What we’re seeing now is that the climate and the weather are starting to affect the lake more directly," says Schladow, who notes that Tahoe is only a mirror held up to the rest of the state; if this critical mixing process is shutting down in Tahoe, it's doubtless happening in other lakes around the West. For years, scientists have warned that the Sierra would gradually see more rain and less snow because of the warming climate, a trend that has potentially dire consequences for California's water supply. But the trend of the last few years has been stunning. The report's authors noted that during the winter of 2014-2015, just 6.5 percent of precipitation at the lake level fell in the form of snow. Decades ago it was more like a 50-50 mix.